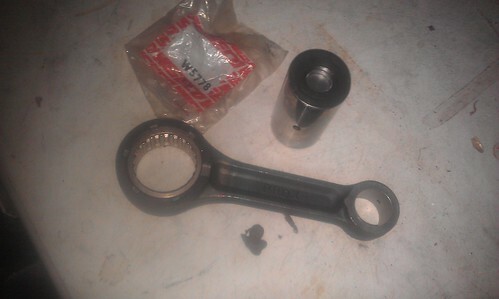 Inspired by Geoff and Trev, I will actually attempt to build a bike. There's another 4 in various states of repair in my garage. 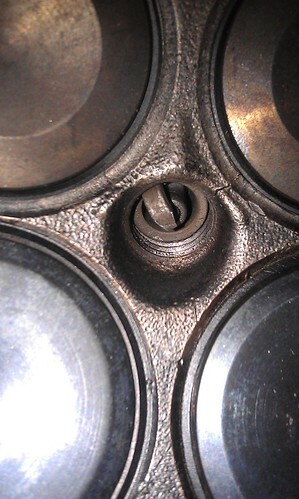 See that tiny crack between on of the valve seats and the spark plug hole, that's a known weak spot on the 500/600/650 heads, dunno what to do about that at the moment. It's a shame because that head has new valve guides and HD valve springs and Kibblewhite valves in it at the moment. 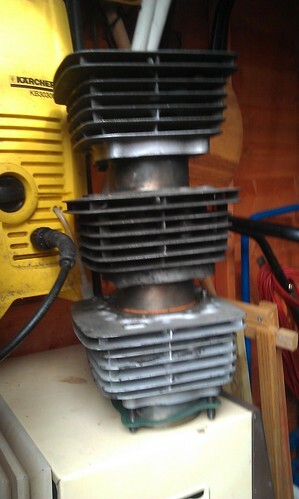 I've got a gearbox from a 650 Dominator to go in as the original 500 box kept jumping out of 5th under power. 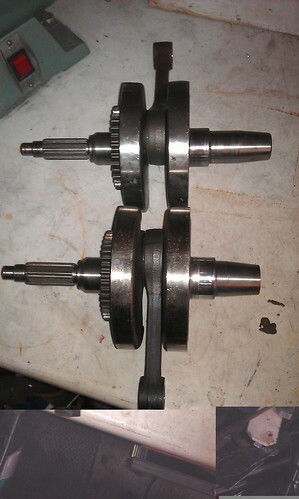 One is the standard XBR crank, the other a XL600 crank, the XL didn't have a leccy boot so the bit the flywheel goes on is shorter, no starter gear on the flywheel. 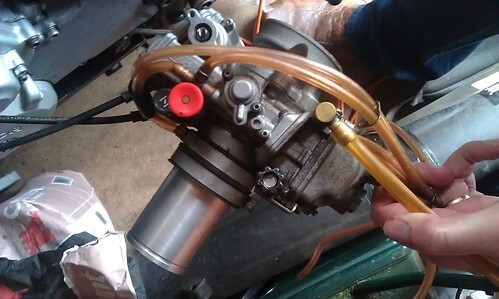 Means I and junk all the leccy start stuff, fit the lighter XL flywheel and use the magnesium side case without the starter clutch in it. you can see the gear/clutch of the leccy boot at the top, looks like a seperate casting, but it's all part of the side cover. 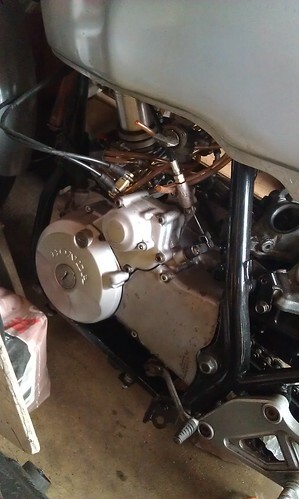 I've got a Joy engineering replica of the HRC RS600 flat tracker camshaft, an XR500 high compression wiseco piston, which seized in the bores, I'm pretty sure it only needs new rings and will clean up, but I can't spot it. a pair of honda quality crank bearings, according to the workshop manual, they have to be replaced EVERY time the cases are split! 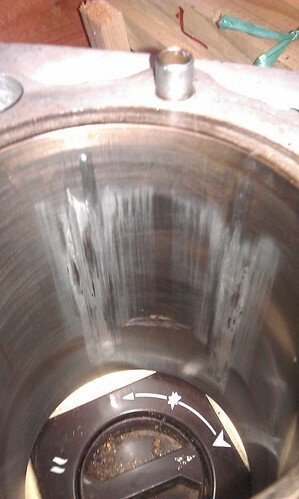 Some oil seals and a full gasket set. 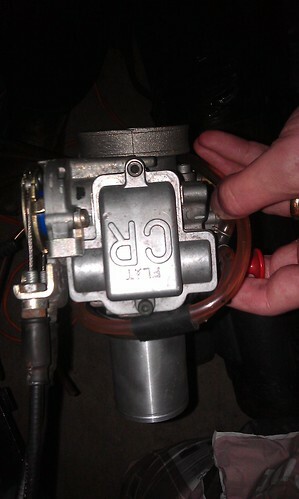 I hope to have the engine finished by 2015. That's a pretty tight deadline. 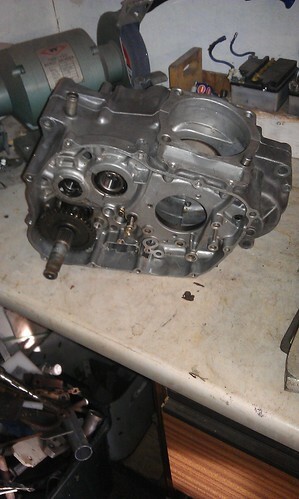 Engine finished 2015, rest of bike some time 2023, maybe. Missed this. An interesting project and in the appropriate forum to boot. You going for the flat tracker look or the faux Goldstar(ish) route Giles?. What sort of power could the engine put out with all those tuning bits you have. Nice and light and 50 bhp would make a fun bike. 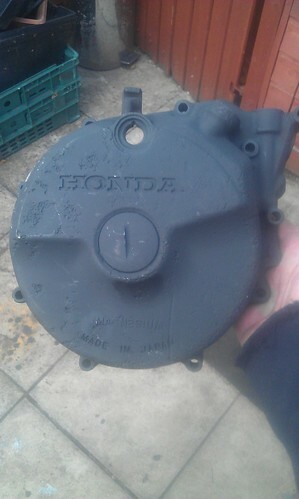 Honda figures were 44bhp, but I think they make about 36bhp stock at the wheel. The GB500 was the 'retro' version of the XBR which looked a bit like a Goldie, I quite like the idea of an alloy tank/seat unit but we'll have to wait and see.... in 2023.